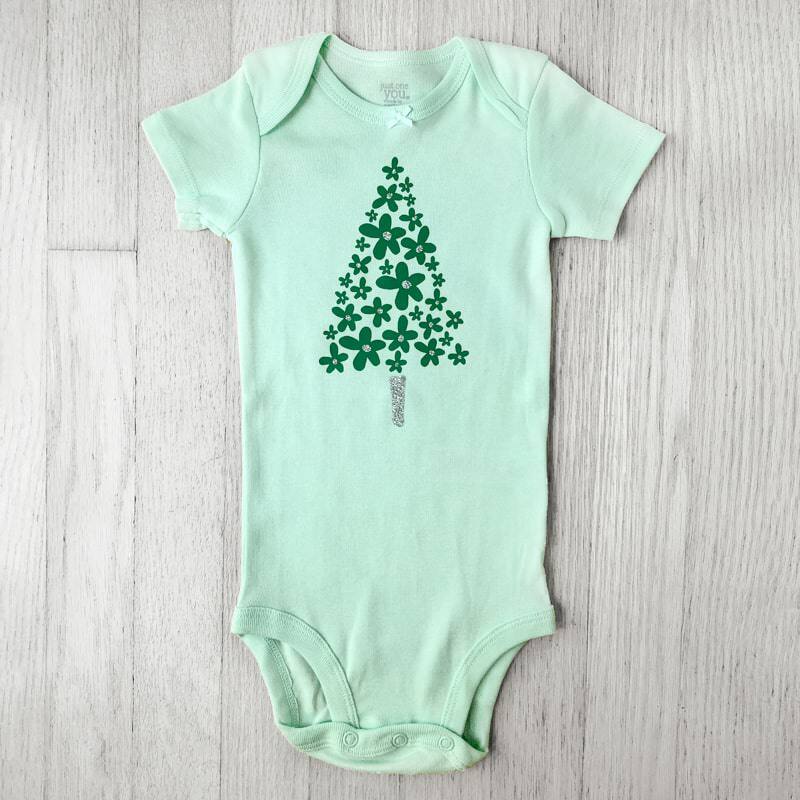 Show off her Christmas spirit in glitter style with this Christmas tree baby bodysuit. Shown in a light green short sleeve outfit; also available in long sleeves (+ $3) in heather grey color. More colors available soon.